In February 2003, Peter Dombrovskis was inducted into the International Photography Hall of Fame in Oklahoma City, now in St Lious Murori, United States of America. 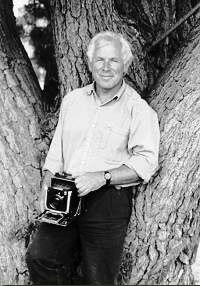 Peter is the first Australian to be accorded this honour, and one of only 58 people to be inducted over the 200 or so years of the history of photography. Peter's work is also represented in the collections of the National Library, National Gallery of Australia, Australian Heritage Commission, National Gallery of Victoria, Queen Victoria Museum and Art Gallery, Tasmanian Museum and Art Gallery, the Royal Tasmanian Botanical Gardens, the Wilderness Gallery and many private collections. Photographic prints are available on request. Please contact us for details.